I started doing comedy 21 years ago at the Comedy Cafe in Washington DC with Dave Chappelle and Wanda Sykes. DC set the ground work for my comedy, shortly after moving to the New York area I was featured on Showtime At The Apollo. and worked comedy clubs in New York. I am a clean Christian Comedian and have been on HBO, BET Comic View 5 times, The winner of BET's Coming To The Stage ( BET's version of Last Comic Standing), the number one show on BET, and Comics Unleashed with Byron Allen. I was a writer for DL Hughley and have opened for Anita Baker. I just taped a new comedy show on BET called A Time To Laugh with Vickie Wynans. I went to IRAQ to perform for the soldiers with my comedy tour called "As Funny As It Gets". 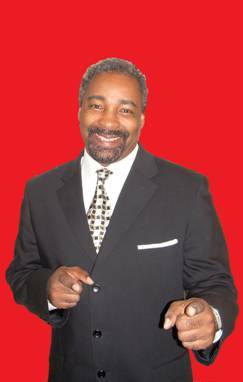 I perform at churches, corporate events, fundraisers, family reunions, cruise ships, anywhere you are looking for clean hilarious comedy thats going to have you in tears. My comedy is clean but edgy, observational , down to earth and will leave you better than came.